As the second largest loudspeaker in our newly-developed CLASSIC line, the bar was set extremely high for the CLASSIC 20, after all its role was to create a homogeneous bridge to the recognised quality of the loudspeakers in our High-End series. In order to achieve this goal, AUDIO PHYSIC once again blazed new, unconventional trails. 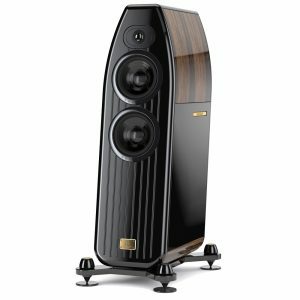 The loudspeaker cabinet has a decisive influence on the sound of a speaker. The larger an enclosure is, the greater the effort required to eliminate the acoustic characteristics of the cabinet and thus prevent tonal discolouration. 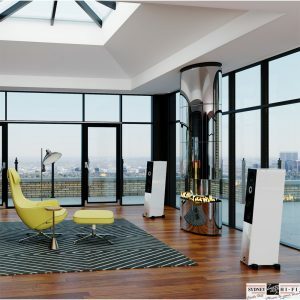 In all the large AUDIO PHYSIC models, intelligently modelled loudspeaker cabinets guarantee the utmost in neutrality. In order to attain a comparable degree of signal fidelity, the cabinets on the new CLASSIC models are made of several materials and are in fact a sandwich construction. The inner layer, 12 millimetres thick, consists of MDF (medium-density fibreboard); a proven material, solid, yet also possessing excellent dampening properties. This layer creates the basic framework for the loudspeakers. Depending upon the design chosen, the CLASSIC 20 is provided with outer MDF panels that are finished in fine veneers. Between both layers, there is a strong two-millimetre core made of closed-cell acrylate resins. This material helps to lend the walls of the CLASSIC 20 unusually low sound permeability – and thus interrupts the direct transmission of noise emitted in the cabinet interior through the panels of the loudspeaker to the outside. Little attention has been paid to this phenomenon, referred to as sound penetration, up to now, but in fact this effect has an influence on the original signal. The joints created by the sandwich are a design element of the loudspeakers. The softer core works as a buffer zone, influencing adjacent materials that are more prone to resonance, transforming any partial vibrations immediately into thermal energy. This type of design developed by AUDIO PHYSIC combines the optimal properties of all the materials used. As an alternative, we offer the CLASSIC 20 as high-gloss versions in black and white. Instead of MDF, the high-gloss versions have an exterior panel made of glass. Here as well, the extremely effective dampening acrylic core eliminates any possibility of the glass surfaces developing their own acoustics – the dreaded “ringing effect” associated with glass is nipped in the bud. Likewise, all the advantages of using glass as a material, such as its incredible stiffness, are fully retained. Due to the new cabinet technology, the sound performance of the CLASSIC models come very close to the virtues of the HIGH-END line. In their price segment, however, they simply set a new standard. The new AUDIO PHYSIC method of designing cabinets is cutting edge. This results in ideal working conditions for the also newly developed chassis of the CLASSIC 20. As a general rule: If the woofer is in the side of the cabinet, for example, it tends to mechanically excite this side panel when in operation. 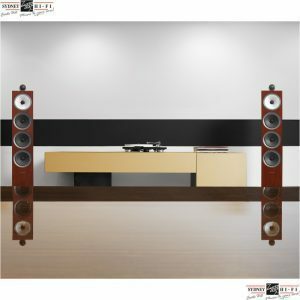 That is why all large AUDIO PHYSIC loudspeakers are equipped with parallel bass drivers, which virtually cancel out any forces affecting the cabinet. In order to achieve a similarly favourable distribution of forces, the woofer on the CLASSIC 20 is integrated in the cabinet design and mounted at a precisely-defined angle. For the first time, this arrangement affords uniform force distribution on the cabinet – with only one chassis. 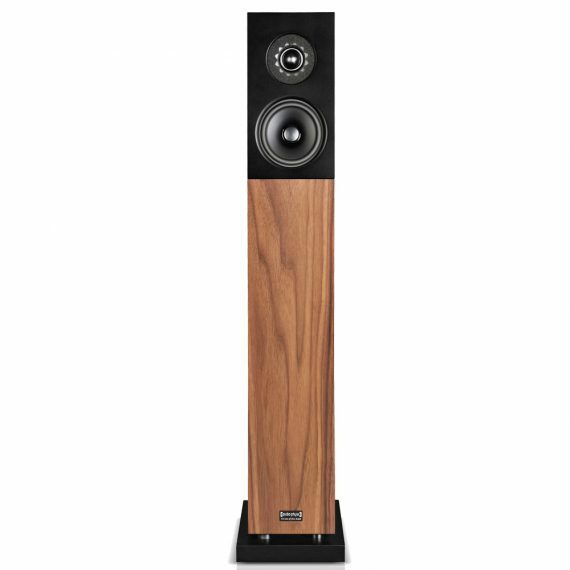 Any propensity of the cabinet to vibrate, even at high volumes, is thus drastically reduced. 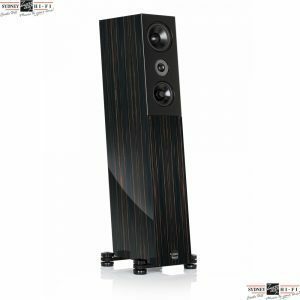 The listener is rewarded with not only highly-profound, accurate basses, but above all with remarkably high definition and clarity in the mid-ranges and trebles. These precise qualities are also brought out by the newly-developed mid-ranges and tweeters; veritable high-performance drivers. Their architecture has been trimmed for maximum signal fidelity. Narrow cone mounts, fixed phase plug, an oversized drive and the classic AUDIO PHYSIC aluminium membrane provide for neutrality and stability in the so vital mid-ranges that is uncommon for this class. The modern tweeter, with its soft dome, reproduces frequencies ranging far above 20 kilohertz linear. It is surrounded by a radial felt mat, which facilitates uniform sound dispersion. Details that make a difference and underscore the extraordinary quality of an AUDIO PHYSIC loudspeaker.